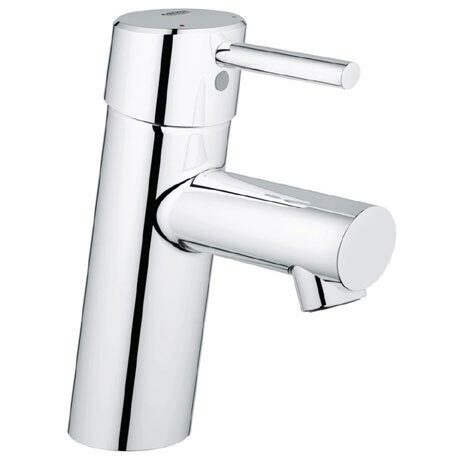 For the modern bathroom, the Concetto mono basin mixer is the ideal choice with its dynamic and cylindrical design. It features a flow rate limiter allowing you to set the output flow of water; the highest possible flow rate is preset as default. Crafted from high quality materials and finished in a special chrome coating that is scratch resistant and easy to clean. All Grohe bathroom taps come with a 5 year guarantee.